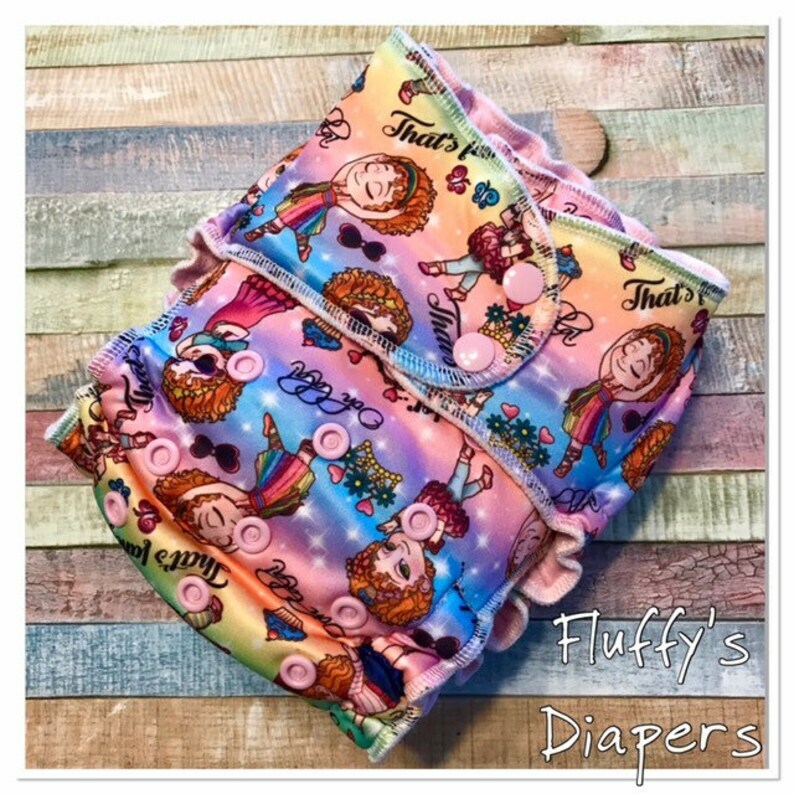 Your little one will look adorable in this fabulous Fancy Life hybrid fitted cloth diaper. This has a poly interlock outer with hidden windpro and cotton velour inner. Snake style soaker is 3 layers of hemp/organic cotton fleece topped with cotton velour. Also includes an additional booster made from 3 layers of hemp fleece topped with cotton velour. A hybrid fitted diaper is a fitted diaper with a hidden layer of windpro fleece that repels moisture back into the soaker. They are more breathable than an AIO. If you are using it for an extended period of time you will most likely need a cover over it. For most babies this will usually last a couple hours without a cover.